Hotel Ambassador on the Day of Older People organized a dinner for the Council of Veterans of Pervomaisky district of Bishkek, which was held in a warm and friendly atmosphere. Guests had the opportunity not only to eat delicious food, but also to communicate with each other, sharing their memories. 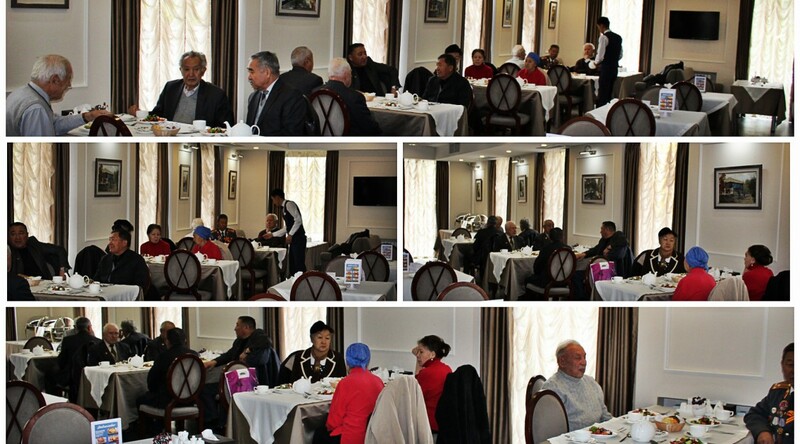 The veterans expressed sincere gratitude to the management and the whole staff of the Ambassador Hotel for the warm welcome, attention, responsiveness and rich festive table. They also noted that they were touched by the meeting held and it will remain in their memory for a long time. The guests went home in an excellent mood and never ceased sharing their impressions with each other. It was clear that they really liked this organized event in our restaurant. The management of the hotel Ambassador is holding a charity dinner for the Council of Veterans not for the first time. Such events have become for us as a good tradition, which we will continue with a great pleasure. We wish the veterans a strong health, all the best and long lasting life!